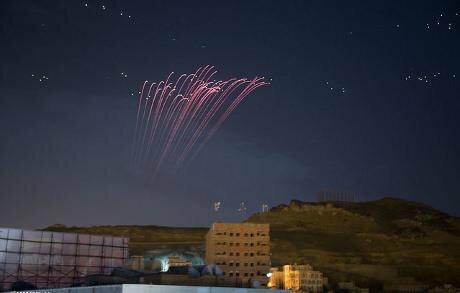 Anti-aircraft fire lighting up the night sky of Sana'a during the Saudi air strikes. Flickr / Ala'a Assamawy. Some rights reserved. In the short term, Saudi Arabia is unlikely to back off until the threat posed by the Houthis to Yemen’s stability—to say nothing of Iranian meddling—is rebutted.